Sara Jewell is an award-winning narrative journalist who strives to tell stories that shine a light on the indomitable power of the human spirit. Her writing is a mix of humour and poignancy, opinion and curiousity. Since 1994, Sara’s work has appeared in newspapers and magazines across Canada, including The Chronicle Herald, Saltscapes and The United Church Observer. Sara’s “Field Notes” column, an Atlantic Community Newspaper Awards finalist in 2013, appeared in two community newspapers from 2011 to 2017, and now appears in the quarterly magazine, At Home On the North Shore. 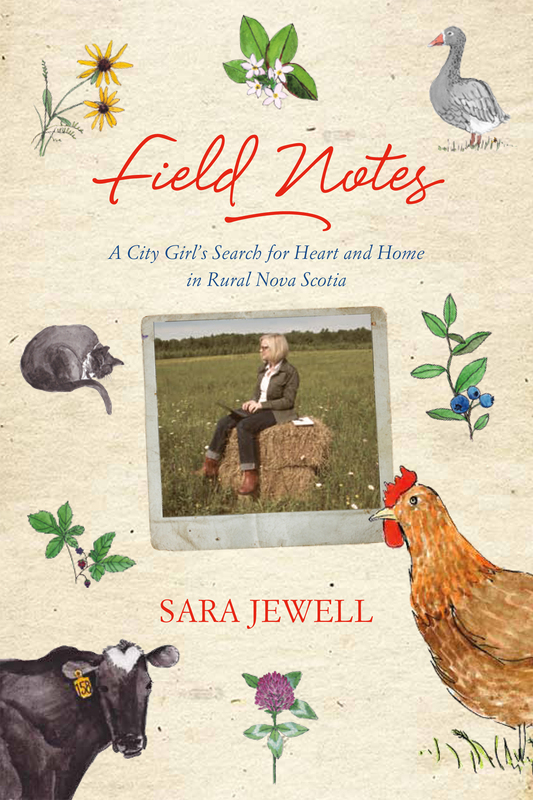 Sara’s first book, Field Notes: A City Girl’s Search for Heart and Home in Rural Nova Scotia, is a collection of essays inspired by her columns and articles, and published by Nimbus Publishing in Halifax. Field Notes is available at bookstores across the Maritimes and online.